Through the very thoughtful birthday gift from my bride today, I received a new Kindle Fire! I'm going to have a lot of fun with this as I join the ranks of tablet junkies! 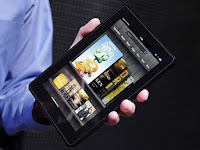 Amazon had cranked up its Kindle Fire orders to more than 5 million units to meet the holiday season demand. According to the sources, Amazon increased its volume to more than 5 million because it believes demand for the Kindle Fire became even stronger throughout December. Amazon claims that the Kindle Fire tablet supports “thousands” of apps right out of the box. The tablet sports a customized version of Google’s Android 2.3 “Gingerbread” OS, meaning that most of the apps hosted by Amazon’s own Appstore for Android will be compatible with the device. Owners will also be greeted with a free app each day thanks to Amazon’s current Free-App-Of-The-Day promotion. The Kindle Fire has a 7-inch IPS display with a 1024 x 600 resolution and 169 pixels per inch. It will also come packed with a dual-core Texas Instruments OMAP4 SoC clocked at 1 GHz, 512 MB of RAM, 8 GB of internal storage (but no SD card slot), 8 hours of continuous reading with Wi-Fi turned off, and more. 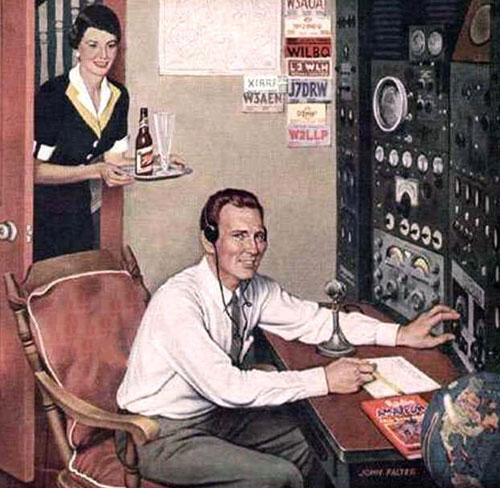 Ah, the "good old days" of ham radio...the "golden era" of the 1950's. I don't know...I just like the pic! "Hey honey, can you bring me another one? Honey...honey....?" Tim Allen -- star of Home Improvement, Toy Story, The Santa Clause and Galaxy Quest, just to name a few -- stars in Last Man Standing, an ABC comedy airing at 8 PM (EST) on Tuesday nights. Allen plays Mike Baxter, KA0XTT, a married father of three and the director of marketing at an outdoor sporting goods store in Colorado whose life is dominated by women. 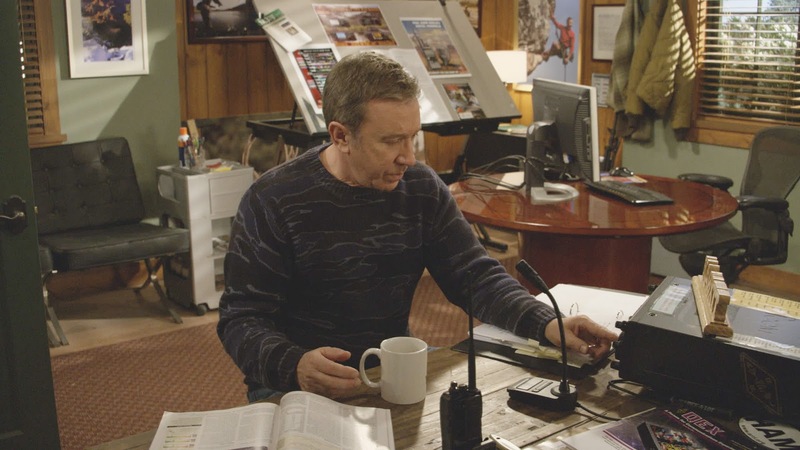 While Amateur Radio has not been prominently featured in the first episodes, according to John Amodeo, NN6JA -- the producer of Last Man Standing -- it is a part of the show and an important part of Mike’s character. The episode that will establish Mike as a radio amateur is currently scheduled to air in mid-January. To make Mike a ham, Amodeo needed Mike to have a call sign. So he contacted ARRL Media and Public Relations Manager Allen Pitts, W1AGP, to help him out. “In film and TV, we create fictitious telephone numbers, addresses and brands,” Amodeo explained. “We do this mostly to avoid being sued by real brands and to avoid complications with advertisers. As a producer and a ham, I was torn between wanting the show to be accurate and needing to keep my studios out of trouble. An accurate and positive portrayal of ham radio on TV would be a good thing.” Many TV shows and movies use telephone numbers with a 555 exchange (such as 555-1212), as that exchange is not valid. Amodeo told the ARRL that both his studio (Fox) and ABC were “delighted to have a useable call sign. In the past, TV shows just made up some crazy call or used someone else’s without permission. 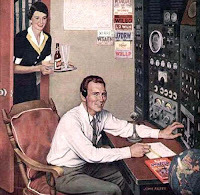 And because we’ve had so much talk about Amateur Radio here on the show, a few of my production assistants took their Technician exam.” Amodeo applied to be an ARRL Volunteer Examiner so he could help administer the exams. On October 6, Amodeo and two other ARRL VEs administered the Technician exam to seven prospective hams. All seven passed, with two making perfect scores. Since Mike Baxter is a ham, he needed a shack. So Amodeo and the set designers installed an Amateur Radio station in the corner of Mike’s set office. Allen, as Baxter, uses an ICOM IC-9100 HF/6 meter/2 meter transceiver and an IC-92AD handheld transceiver, both provided to the show courtesy of ICOM America. Amodeo told the ARRL that he has plans to add vintage equipment to the shack in the future. 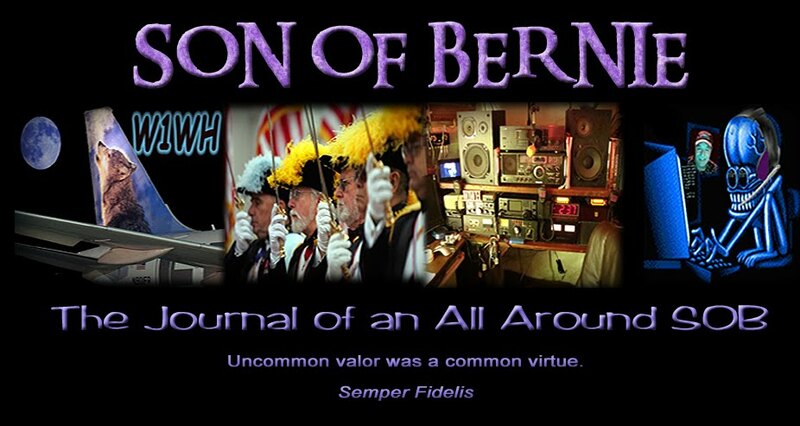 “The radio equipment was originally intended to be used as props and set dressing items,” Amodeo told the ARRL. “But since eight of the show’s staff members are radio amateurs, it didn’t take long before we made the radio equipment ‘practical,’ which is to say, actually capable of making radio calls live from the stage when we’re not shooting.” He said that radios will always be on and lit whenever they are shooting scenes in the office. A Catholic priest, an Army chaplain and war hero from Kansas who died while a prisoner of war during the Korean War - and is being considered for canonization by the Catholic Church - may soon be awarded the Medal of Honor. Father Emil Kapaun will receive the honor if the Defense Authorization Act of 2012 passes a Senate-House conference committee with amendments sponsored by Kansas lawmakers. The U.S. Senate Thursday night passed its version of the bill with an amendment co-sponsored by Senators Pat Roberts and Jerry Moran of Kansas. A similar measure passed by the house contained an identical amendment sponsored by Rep. Mike Pompeo. "Father Kapaun inspired many with his unshakable faith," Roberts said in a prepared statement. "His story is an inspiration to all of what it means to be a true hero. We've taken a huge step forward towards finally recognizing Father Kapaun's countless acts of heroism on behalf of his fellow soldiers." Kapaun, a native of Pilsen, Kan., was serving in Korea as an Army Chaplain when he was captured in November 1950. 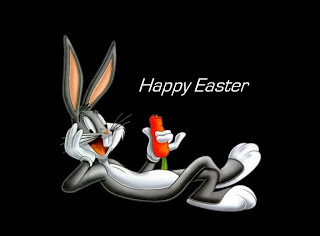 He died in a prison camp in April 1951. He continued to minister to his fellow prisoners of war until his death. When all else looked hopeless, Father Kapaun uplifted the spirits of his fellow soldiers and helped them preserver in spite of great suffering," said a statement from Moran. Father Kapaun was born in Pilsen, Kansas in the Diocese of Wichita, Kansas on Holy Thursday, April 20, 1916. He was ordained as a Priest for the Diocese on June 9, 1940 and entered the U.S. Army Chaplain Corps in 1944. Separated from the service in 1946, he re-entered the Army in 1948 and was sent to Japan the following year. In July of 1950 Father Kapaun was ordered to Korea. On November 2 of that same year he was taken as a prisoner of war. In the seven months in prison, Father Kapaun spent himself in heroic service to his fellow prisoners without regard for race, color or creed. Ignoring his own ill health, he nursed the sick and wounded until a blood clot in his leg prevented his daily rounds. Moved to a so-called hospital, but denied medical assistance, his death soon followed on May 23, 1951. The Diocese of Wichita and the Vatican have begun the formal process that could lead to Father Kapaun's canonization. In 1993, it was announced that Fr. 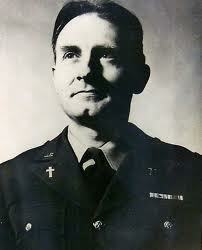 Kapaun would receive the title of "Servant of God". 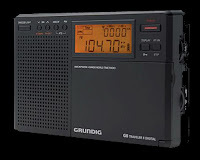 Just picked up a nifty little digital AM-FM-shortwave receiver, a Grundig Traveller II G8. All I can say is that they have come a long way since I last acquired a portable shortwave radio. 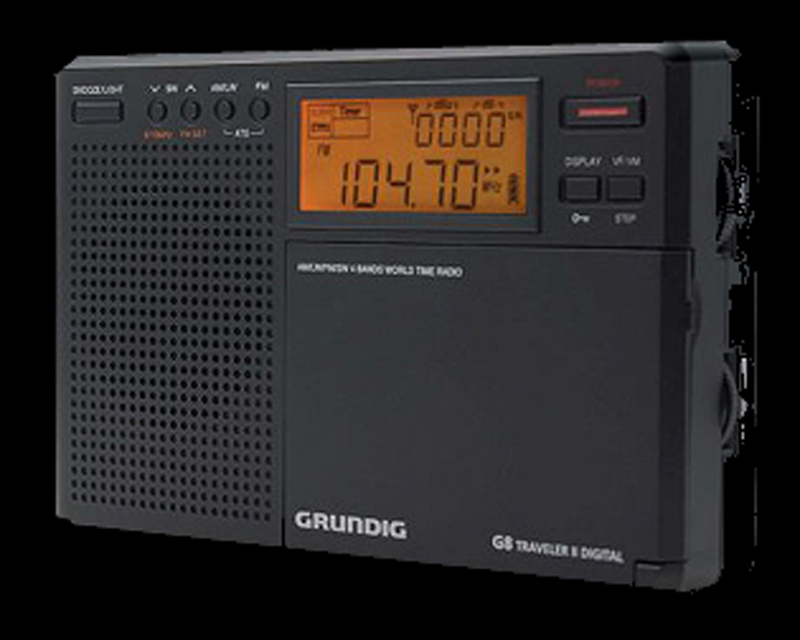 This little radio has outstanding audio and selectivity. About the only things I really miss is the ability to tune sideband - but it's not intended as a ham band receiver. Other drawbacks are lack of an external antenna input (only needed for shortwave or world band listening (and I can always clip a wire on to the built in telescoping antenna if needed) and a direct entry keypad. Actually, the dual fast/slow tuning ability of the tuning wheel almost makes up for the lack of direct frequency entry. The retail price of these babies is in the 50 buck range, but the best part for me is that I got it for no cash as part of a rewards program for a credit card that I don't use anymore (in partial response to a national super bank wanting to charge me a monthly fee for using my own debit card...don't even get me started on THOSE bastards, as I've already indicated my opinion to them by using my feet....). Anyway, I'm enjoying this little radio! The recognition of Karol Wojtyla’s second miracle is near. Karol Wojtyla will soon become a saint. Salesian Cardinal Angelo Amato is working on an evaluation of the second miracle attributed to John Paul II. Amato is in charge of following the process of canonization throughout the Catholic Church, and is trying to counter sceptics inside and outside the Curia who want to slow down a process begun as a result of overwhelming public pressure, by speeding things up. And he stated he was closer to recognizing the second miracle to be attributed to Karol Wojtyla, the Polish Pope who was so loved across the entire Catholic spectrum. The case of scientifically unexplainable healing, was placed “under investigation” by the Vatican minister for the Causes of Saints. In order to be canonised, Karol Wojtyla needs to be receive the Holy See recognition of a second miracle. A great number of miraculous healings attributed to John Paul II have already been closely examined by the Postulation of the former pope’s canonization cause. 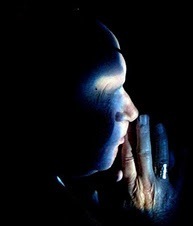 One, in particular, is considered to be ideal and especially important in order for Karol Wojtyla to be catapulted to sainthood, following the occurrence that allowed Benedict XVI to proclaim his immediate predecessor Blessed; that is, the healing of the French nun, Sister Marie Simon-Pierre form Parkinson’s disease, the same illness that the last phase of his Pontificate into a nightmare. The Vatican assured that the other miracle which took place after his beatification will be analyzed with no hurry and with usual scruple. The Vatican has also said the Pope's decision to elevate John Paul II to sainthood has been the cause of much joy among the Catholic community across the world. The second miracle attributed to the Blessed John Paul II, must be recognized by the Congregation for the Causes of Saints on behalf of the deceased pope. The dossier of miracles attributed to Karol Wojtyla is constantly being updated with new testimonies. Before the beatification, the Holy See took numerous other miracles into account, for example that of a man who was saved in Cleveland in the United States, from a serious head wound caused by a firearm and a Polish child who was paralysed at the legs bust all of a sudden started walking again, after having prayed at the tomb of John Paul II. In Cleveland, Ohio a 26 year old boy who had suffered a serious head injury during a mugging was saved and regained his health just when doctors had started to give up hope. The hospital chaplain endorsed the fact that this prodigious act of healing was due to a blessed rosary used by John Paul II. 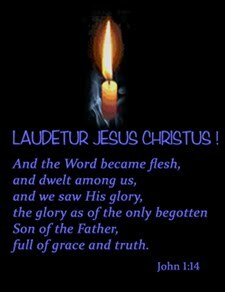 In January 2006, a website was launched to gather the testimonies of Catholics who had witnessed or received acts of grace or miracles after the death of John Paul II, in support of the process of beatification of Karol Wojtyla. 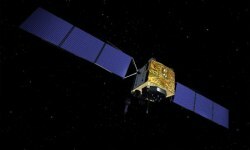 Tens of thousands of messages were sent to the website, available in five languages. In order to assess the candidacy for beatification, the Catholic Church requires proof of “signs” witnessed following the death of a figure in the odour of sanctity. Thus, as of 13 May, when Pope Benedict XVI agreed a dispensation of a five year wait from the death of an individual, after which, the process of beatification could begin, it was decided that testimonies were to be collected via internet from across the world, in Italian, Polish, English, French and Spanish. Catholics were impatient and did not want to wait for ecclesiastical bureaucracy. Messages were posted on the website asking for Wojtyla to be made a saint immediately and the appeal was also made at his funeral on 8 April 2005. There are dozens of cases of people who were healed by the Polish pope: a 34 year old woman from Palermo was cured of breast cancer out of the blue; a little deaf boy from Baltimore, all of a sudden gained perfect hearing before his gobsmacked doctor; a Mexican bride who had wanted a child for a long time, finally gave birth, despite doctors saying that her state of health made this impossible. Just got back from a spectacular week on Cape Breton, Nova Scotia and the Cabot Trail, courtesy of the extraordinarity generosity of friends who summer at their ancestral home in Middle Cape on the southern arm of Bras d'Or Lake (literally, "Arm of Gold"). 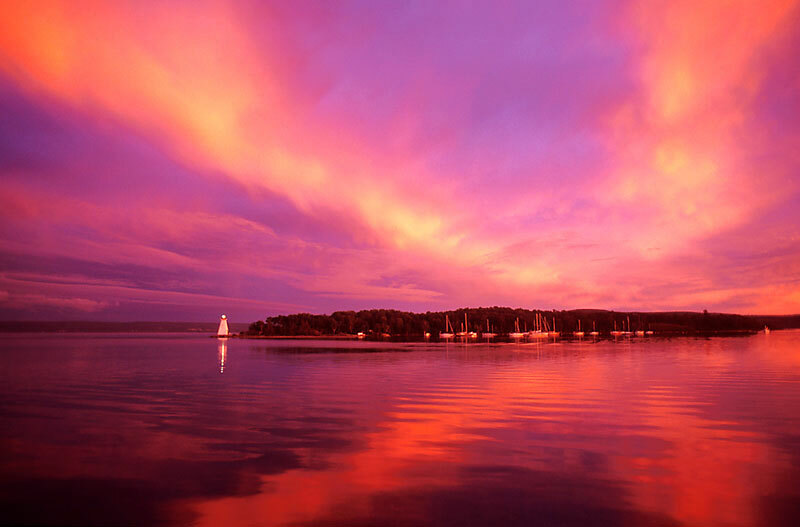 To say that Cape Breton and the Cabot Trail are spectacular is an understatement- but the island's beauty is only eclipsed by the friendliness that we experienced from everyday Cape Bretons and "family". These people know how to live simply - and beautifully. One of the highlights was spending an evening on the front porch of an ancestral home watching the sun go down over Bras d'Or Lake in tiny Irish Cove (pop. 12). I'm already planning on going back - and next time hope to press on even farther to see Harbor Grace and Placentia Bay in Newfoundland where my father's folks come from. About the only regret that I have from the trip is not stopping at the renowned RCI Canada broadcast and transmission facility in Sackville, New Brunswick, just before the Nova Scotia border. Well, there's always next time.